He didn’t think his cat would do this to him, after all he did to install the nice new cat door, but unfortunately his cat has a better plan and refuses to use the cat door which took his owner ‘Brian’ hours to install! 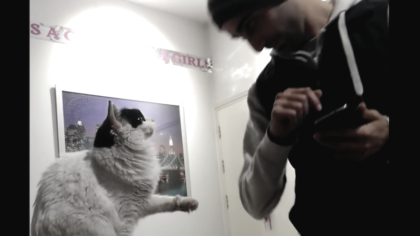 Sometimes no matter how much work you do to make your cats life easier, it still ends in the most interesting way… This wasn’t what this cat owner was expecting and you’ll see why when you see the video! 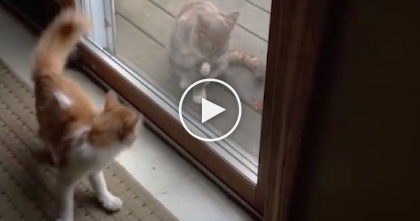 This has got to be one of the funniest videos I’ve seen in a long time… Just watch below! If you enjoyed this as much as we did—SHARE the laugh with your friends too! 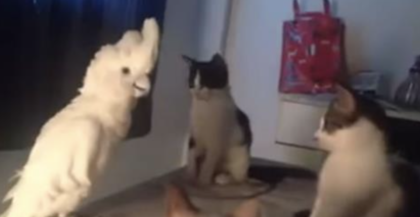 Lonely Parrot Tries To Make Friends With The Cats. Then You Hear His Response..How In The World?! 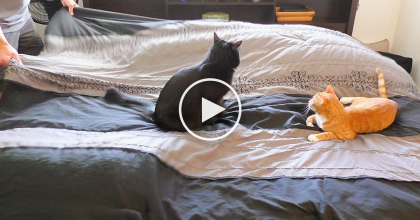 She Throws Some Clothes Towards The Hamper, But Watch How The Cat Reacts To It.. LOL, Hilarious!